No really. I have a tendency to collect paper bags. I tell myself I’ll use them to haul stuff, and I do, but they accumulate faster than I would like. With this is mind, I finally found a good way to put them work! Just fold down the edges. Two folds for a tall container, three folds for a shorty. Considering they are paper, these suckers are surprisingly sturdy. 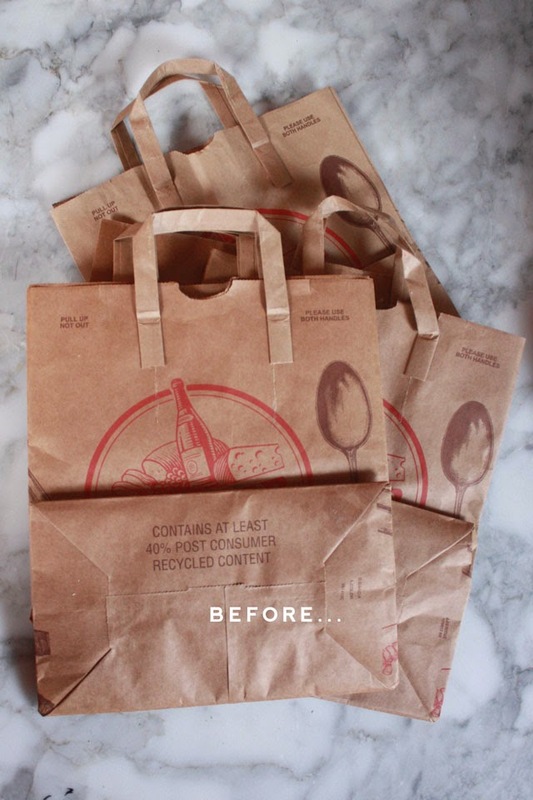 I’m using grocery bags designed to haul 20+ pounds of market goods, so it makes sense they would stand up (and if they don’t, that’s okay too, it’s not like they cost an arm and a leg). I think I’m going to make a bunch of them to help sort out stuff inside drawers. My New Years resolution for 2014 is to get organized (what else is new?) and these might come in handy. It also looks really chic! But I think you need more straws. ha! These are just the pretty ones. For everyday use. The straw drawer is in another room. Nice – I am in the process of making “drawers” in a bookcase by cutting down cardboard boxes, adding felt to the bottom, and then modpodging the fronts. I may even add “hardware” with loops of leather. How was CA? I love this idea, Peach. 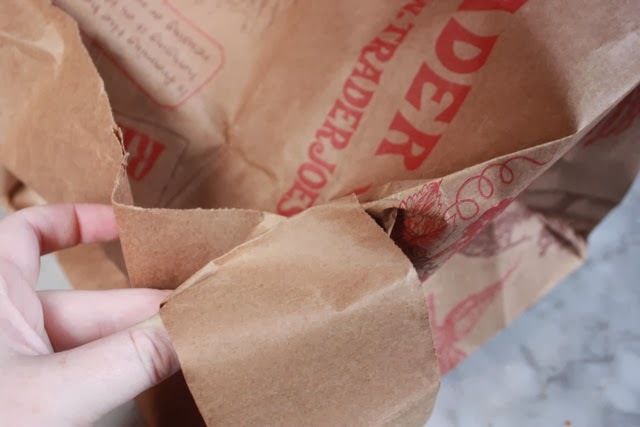 I currently use the bags to make paper beads….http://crafting.squidoo.com/brown-lunch-bag-and-brown-grocery-bag-crafts On this page and a lot of other paper bag crafts. I sort of already do this with gift bags. how do you fold them down without tearing? Carefully. Paper is pretty easy to manipulate if you don’t force it. Don’t you love Trader Joe’s. I had never thought of folding their bags down. however I do re-use them as is..Love your idea. They may “Contain 40% Post Consumer Recycled Content” (as the picture indicates), but the finished product should indicate that they are “100% Altered for Repurpose by Peaches” and put to good use. 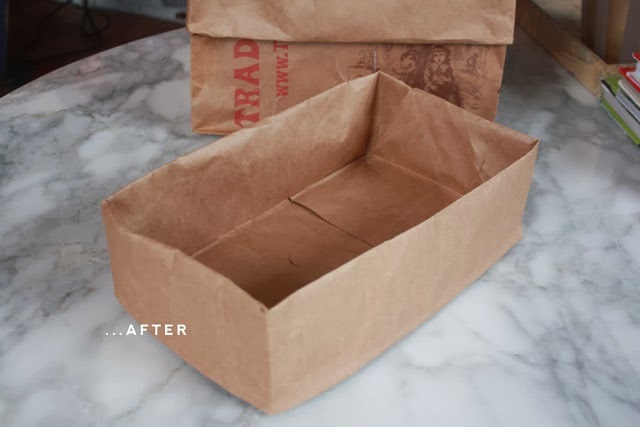 There is no end to the usefulness of brown paper bags! Im sorry but this idea looks so rachet…. I think Anonymous feels sorry she doesn’t know how to spell ratchet correctly. I absolutely LOVE this idea! Thanks for sharing! OMG I love these starbursts!!! They look great sitting on a desk or table. I spray painted them gold, and it made them look more modern. Thank you for the detailed instructions. 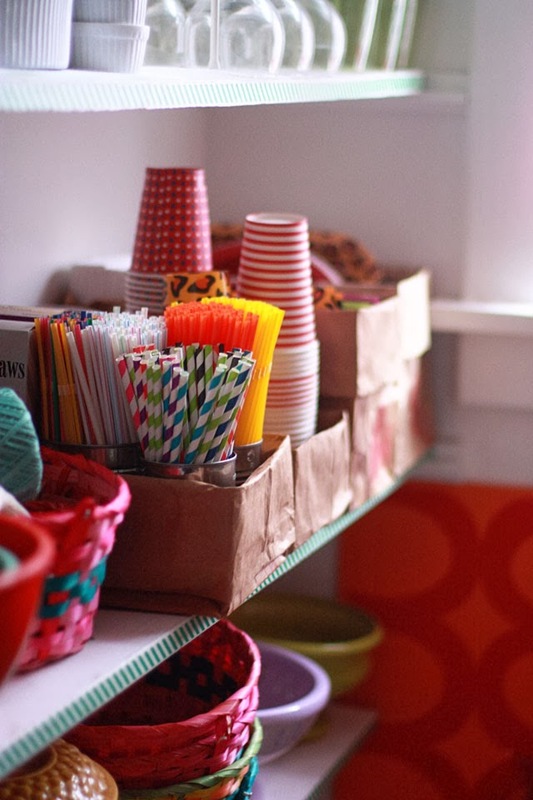 I would like to see your straw collection, because I feel the same way about straws.